Antonio Conte warned his Chelsea players that they must “feel the danger in every moment of the game” if they are to avoid a repeat of last season’s Premier League capitulation, after a 2-1 defeat against Liverpool on Friday. 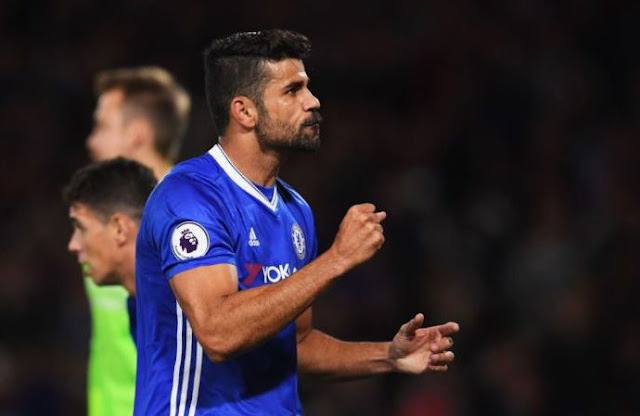 First-half goals from Dejan Lovren and Jordan Henderson gave a dominant Liverpool what proved an unassailable lead after 45 minutes at Stamford Bridge, though Diego Costa scored his fifth Premier League goal of the season in the 61st minute to set up a tense finale. Much of the prematch talk centered around David Luiz’s return to the heart of the Chelsea defence but the Brazilian was not directly at fault for either goal, with Philippe Coutinho’s cross finding Lovren unmarked at the back post for the opener before Henderson curled a 30-yard strike into Thibaut Courtois’ top corner. “In the first half — I must be honest — I thought we gave away two goals,” Conte said. “The first after a free-kick they took very quickly, the second after a throw-in and then a great goal from long distance. “When you give away two goals in this way it’s very difficult, because against Liverpool you play with a great team. These are tough games and I think you must pay attention in every moment, in every single minute of the game, in every second, because the details make the difference. “It’s not important if this defeat is my first defeat [as Chelsea head coach]. It’s our first defeat. It’s Chelsea’s defeat and there are the players, the manager, the staff who work at this club. It’s important to understand that every single game is very tough and we mustn’t forget last season. It’s important because last season was a bad season. I don’t want to repeat last season. “For this reason we must pay attention in every single moment of the game, in every minute. I’m guilty because I’m the coach and it means I have to work more on this aspect. Now it’s not enough because it’s not the first time this happened. Conte attracted widespread criticism from Chelsea supporters for his decision not to make any substitutions until the 84th minute, when he introduced fan favourite Cesc Fabregas, Victor Moses and Pedro Rodriguez all at once with his team 2-1 down and chasing an equaliser. After the match Conte explained that he delayed making changes because he was encouraged by his team’s second-half performance. “In the second half we started with the same players and you saw another game, with great intensity,” the Italian insisted.